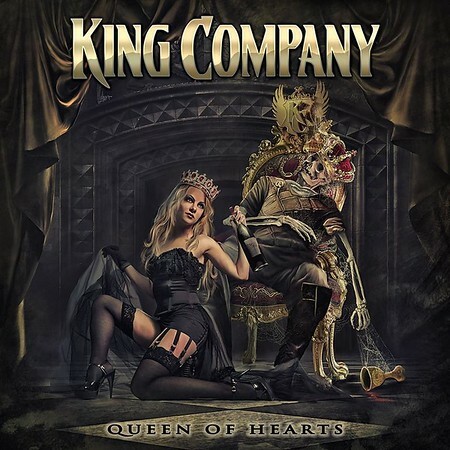 “Queen of Hearts” in the second album from Finnish band King Company and it was released on 10th August by Frontiers Music. The band formed in 2014 and released their debut album “One For The Road” in 2016 before health issues forced a change in vocalist in 2017. I’ve featured a few tracks from the debut album on the Shows since 2016 and the tracks “One Day of Your Life” and “Living In A Hurricane” from the new album were included on the Friday NI Rocks Shows on 1st June and 6th July respectively. The title track, “Queen of Hearts” opened the NI Rocks A-Z Show on 21st August. King Company was formed in 2014 by drummer Mirka ‘Leka’ Rantanen and was initially known as No Man’s Land. He recruited guitarist Antti Wirman, vocalist Pasi Rantanen, keyboard player Jari Pailamo and bass player Time Schleifer. When Rantanen developed vocal cord problems during touring in 2017 the decision was taken to recruit a replacement in the form of Italian-Argentinian singer Leonard F. Guillan. This became a permanent position when Rantanen confirmed he didn’t know when he would be able to sing again, but he has worked on the new album as vocal producer.